Sony Xperia XA2 is a mid-range phone, and you can see that from the start if you check the specs. But what the unit does right is it provides you with a cool design and some nice specs for its price. If you want to get by during the day and also access some mobile apps, the Sony Xperia XA2 is well worth it. They added the octa-core Snapdragon 630 and that’s actually quite interesting to have here. That, combined with the fresh and interesting is well worth the effort and the visuals in here are more than interesting. You do have to keep in mind that the top and bottom of the phone can be a bit sharp, a strange decision for this unit. I like the fact that they added quickcharge to this one, as you don’t really have the time to wait for your phone to charge. This is a handy feature and it works out of the box. Sony Xperia XA2 also has an SD card slot, which is also really helpful for people that want expandable storage without paying a lot of money for such a feature. The display is really good here. It’s a 5.2 inch, so a pretty small one. Yet despite that, the visuals here are great. The Super Vivid display mode in particular offers you some bright colors and color accuracy is very good too. The contract ratio is around 1167/1, which is perfect for a lot of people. You can find more expensive devices that don’t have this sort of great features, and that does tell a lot when it comes to the value and benefits offered by this unit. The performance is good for the phone. They added 4 GB of RAM, 32 GB of storage and you can run literally anything. It does stutter at times when you do 4K playback, and the storage may not be enough for some people. But in the end these are some rants that everyone may or may not have. For regular use, the Sony Xperia XA2 is more than ok and it does bring in front some nifty and powerful solutions. 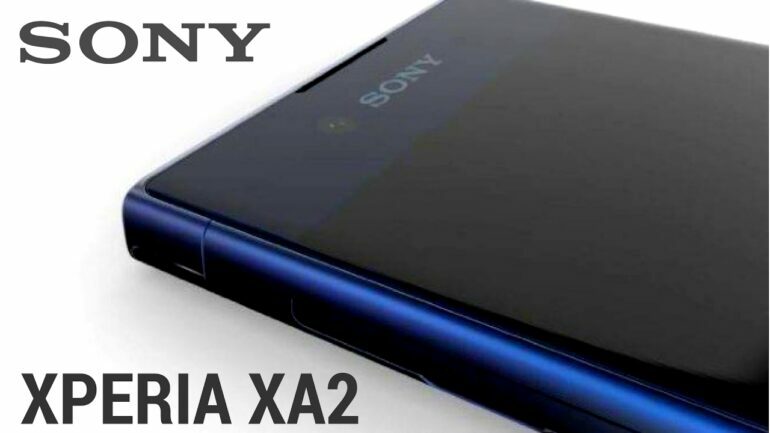 Sony Xperia XA2 has a 23 MP camera. Adding so much power into a smartphone camera is extremely good. The colors and details in general are amazing, and you will also notice that they have a single color LED flash and autofocus. There were no problems with clarity in my case, and the visuals were pretty intense and interesting each time I used the unit. While there can be a few issues for some people here and there, the return on investment is still good. While CPU performance may not be the best and the camera can struggle in low-light situations, this is still a very good phone. It has exactly what you need, and it delivers an outstanding design and really good benefits. The attention to detail is very good and they integrated all you need from such a device into an inexpensive package. That on its own makes the Sony Xperia XA2 well worth it!